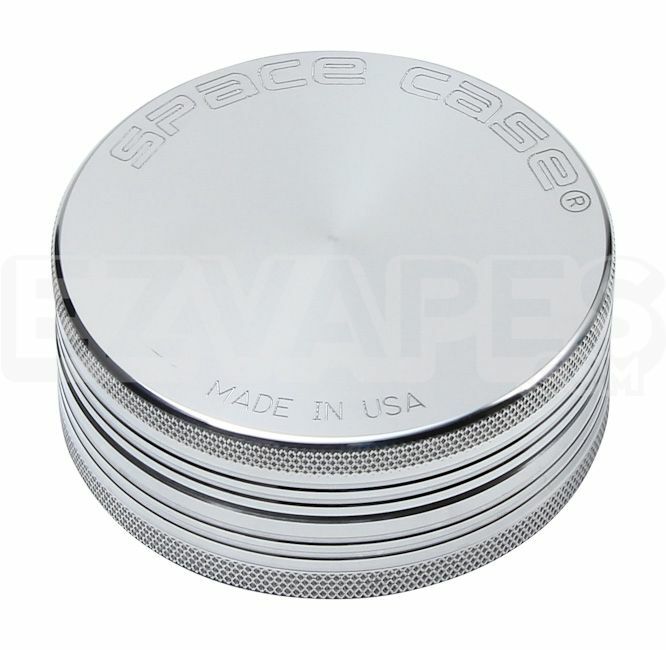 The Space Case 2 piece aluminum grinder is made of the highest quality and is built to last. It's made from anodized aluminum that is the same aluminum used on most air craft, so you can expect the teeth on this grinder will not dull any time soon. It also has a centered magnet within the grinder's teeth so it will stay sealed. So you could conceivably use it as storage as well. The medium size measures 62mm (about 2.5") so it is right in the middle as far as grinder sizes go, perfect for those with big or little hands.